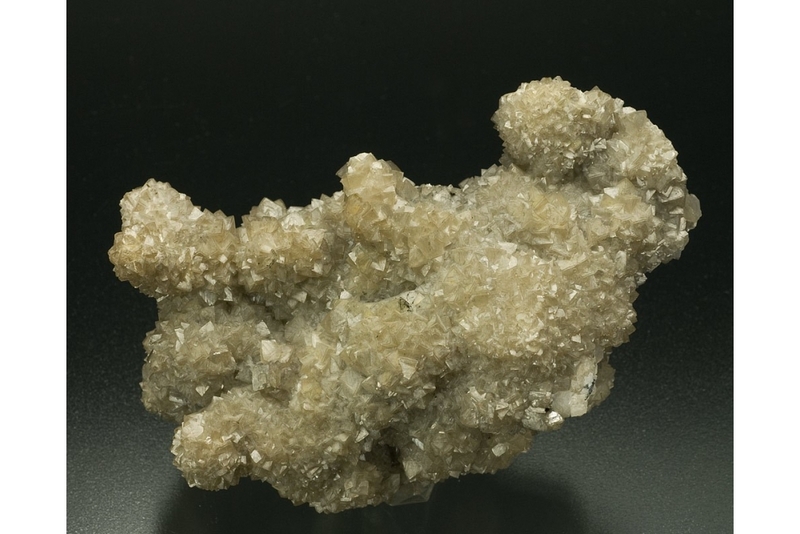 3-Dimensional near 'Floater' specimen with smithsonite crystals coating all but a small area of matrix where the label (#428) has been attached. 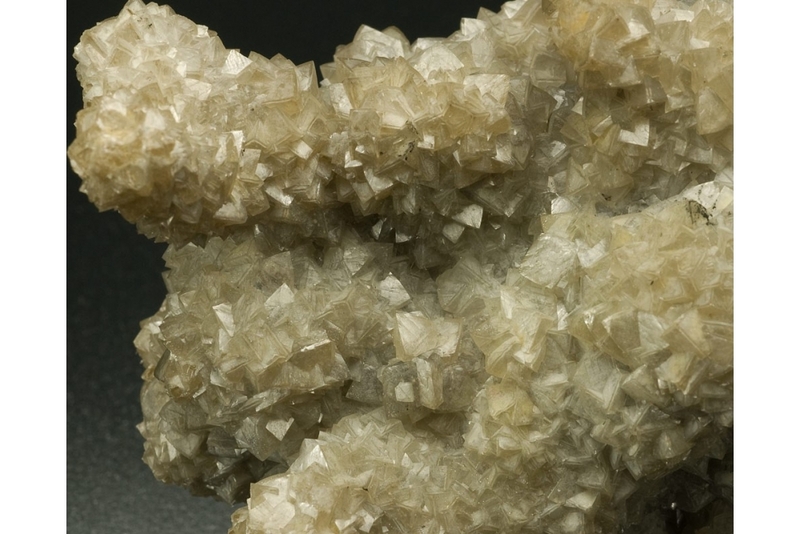 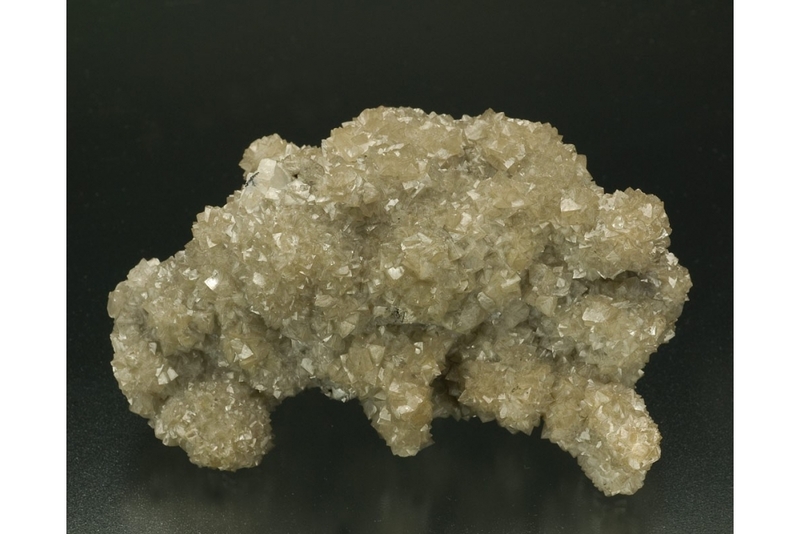 The smithsonite crystals are in the form of aggregated sharp grey-light brown crystals. 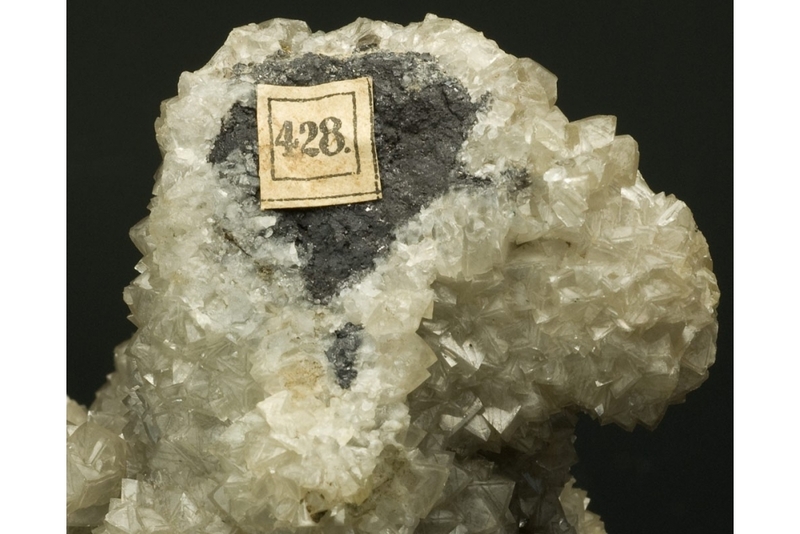 Label shows collection of A. Berger (Austria).